In the County of Skåne 16 Natura 2000 sites are included in the project – from the peninsula of the Bjäre coast in the northwest, down to the Falsterbo peninsula in the southwest, to the Sandhammaren in the southeast and up to Rinkaby military training area in the northeast. In the valley of Verkeån and the Sandhammaren site several nature reserves are included. 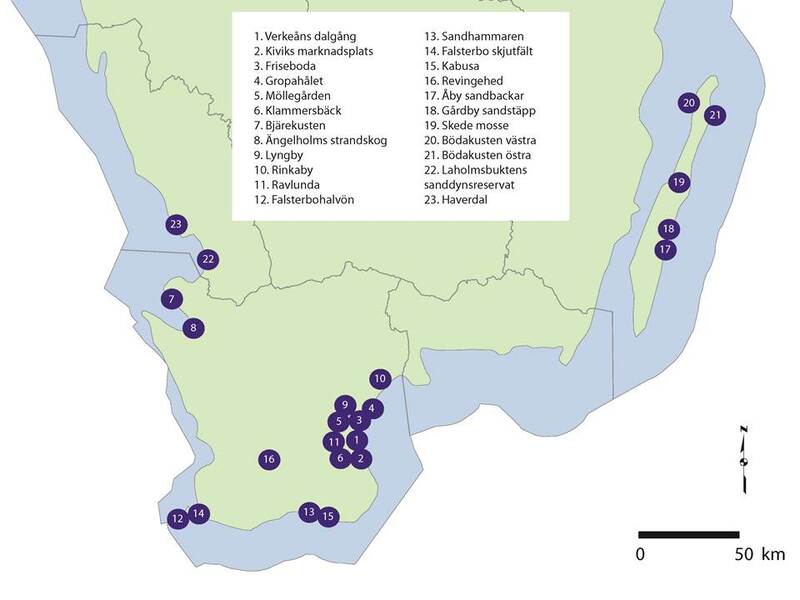 On the map below, the sites included in the project can be seen, and the numbers from 1 to 16 are located in the County of Skåne.